For some DJs, music is more than just their passion or occupation – it's the reason for their existence, the thing that keeps their world turning. Hernan Cattaneo is that special breed. Across his three decade journey through music, the legendary South American DJ has lived his life through the music that inspires him; inspiring thousands of electronic music lovers across the globe in the process. As a respected label owner and producer, Cattaneo's creative output remains as plentiful as ever. In just two years, his Sudbeat label has risen up as a leading light in melodic electronic music – regularly releasing material from names like Guy J, Henry Saiz, Nick Warren and Danny Howells. Hernan's own tracks have provided other highlights in the label's growing discography, with the Argentinean electronic music ambassador currently working on many studio projects. Sharing these sounds – and those that inspire him – is at the heart of Hernan's musical mission and is something he achieves through his relentless touring schedule. A resident at the UK's longest running weekly event The Gallery @ London's Ministry of Sound, Hernan's DJ passport is stamped with the most respected dance events on the planet. From Serbia's Exit to Las Vegas Electric Daisy Carnival, Spain's Monegros to Holland's Dance Valley, just about every major dance event has been graced by Hernan's expertly weaved DJ journeys. Blessed with a deeply ingrained knowledge of house music and its many electronic roots, Hernan's own DJ journey can be traced back to the mid-80s in Buenos Aires. Fascinated by pioneering synth-pop and post-punk bands like Depeche Mode and New Order, Cattaneo soon became consumed by imported 12"s from the likes of Frankie Knuckles, Derrick May and Inner City. Before long, the young music lover's instinctive desire to DJ and share this new found love of Chicago and Detroit based sounds had lead him to his first – and now legendary – residency at Buenos Aires Clubland. Clubland became the epicentre of Argentina's burgeoning dance scene and Hernan rose up as its spiritual leader. It is here where he earned the respect – and friendship – of legendary DJs like John Digweed, Sasha, and – most significantly – Perfecto boss Paul Oakenfold, who invited Cattaneo to join him on Perfecto. With the window of global opportunity opened, the Argentinean ambassador impressed at every turn. Club giants Cream soon recruited Cattaneo as their South American resident and were impressed enough to install him as international resident at Cream Liverpool & Ibiza. 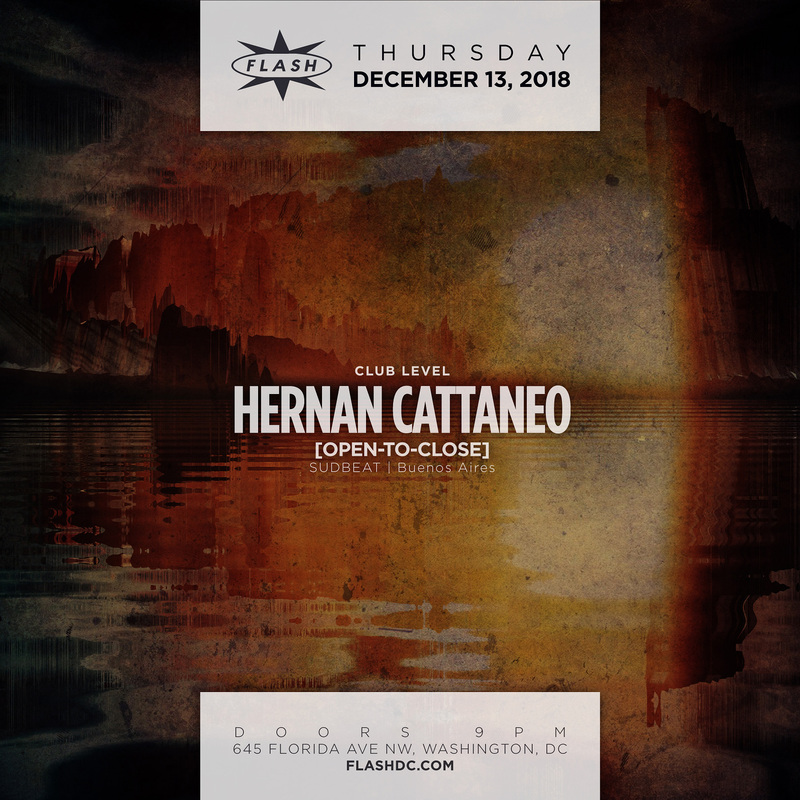 Rapidly gaining a taste and skill for the larger stage, Hernan soon followed with appearances at festivals like Nevada's legendary Burning Man as well as key debuts at European institutions like Homelands, Bedrock, Pacha and Fabric. By the time, Hernan had mixed Perfecto's first international mix CD – South America volume – he was confirmed as one of those rare DJs able to transform the DJ set into a true art form. Each individual set became a complex voyage through genres, emotions and sound. Both a true DJs DJ and a people's favourite, Hernan's popularity has spiralled in the years since. Now respected as one of electronic music's true legends, Cattaneo stands proud as a DJ, producer and ambassador of the highest pedigree. From John Digweed's standard bearing Bedrock imprint to Manchester´s Hacienda Records or the legendary Ministry of Sound, a host of electronic music's most pioneering labels have all called on Hernan's studio skills at some point over the past years. He is also one of a select breed of DJs to have enjoyed more than a decade in the DJ Magazine Top 100 poll. Known for his love of all music, regardless of genre, Hernan's unique ability to weave stories from sounds are also responsible for some of the most celebrated mix CDs of recent years. Back in 2005, it spoke volumes on Hernan's rising stock that he was hand-picked to succeed DJ legends like John Digweed, Deep Dish and Sasha on the aptly named Masters series. Seizing the opportunity, Hernan's debut marked him out as a legend in his own right. Widely loved and acclaimed, his individual mix shifted seamlessly through genres and was coloured with both the rich seam of melody and lush lulling groove that his fans have come to love and know him for. In the year since, he has followed with four more mix CDs for the globally renowned Renaissance – including their 50th ever album in 2009 and his acclaimed 2010 album 'Parallel', which featured no less than 12 of his own productions and remixes. For the many thousands of music lovers that lap up their sounds the world over, these CDs provide a perfect snapshot of what Cattaneo is all about. It's that human connection that drives Cattaneo further through music. And whether he's taking crowd on an epic journey at festivals like Coachella, Exit and Creamfields or beaming his sounds across the globe through his weekly podcast and radio show on Delta FM 90.3, Buenos aires,he is able to be inspired and inspire in equal measure.